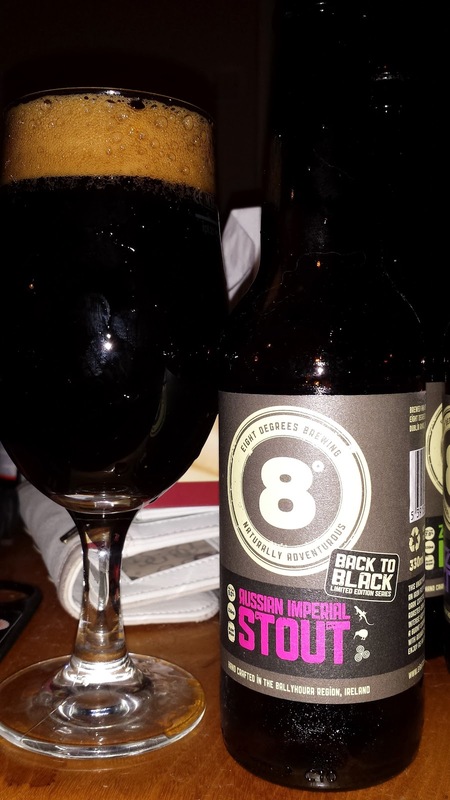 8 Degrees have a new Back to Black series out since the end of 2013 and I finally got a chance to sample these beauties recently. 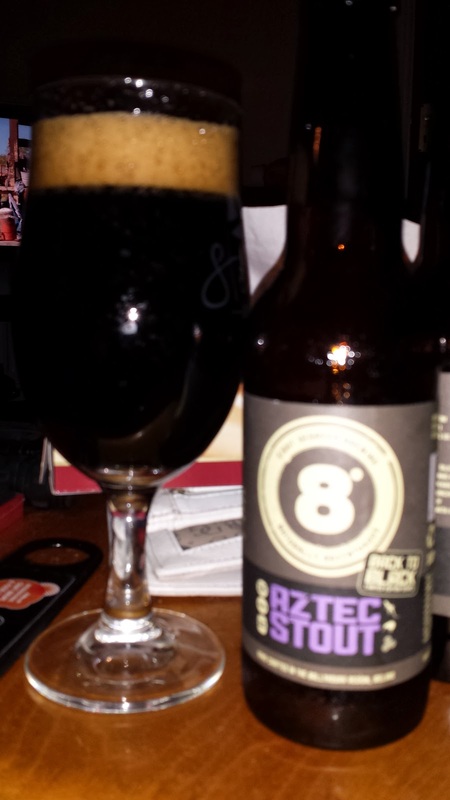 8 Degrees sent me a lovely Christmas present of two of each beer and I had been holding off since I was suffering with a cold for the whole month of December. The Russian Imperial Stout is a 9% ABV monster of a beer, there's little aroma beyond an intense and rich dark chocolate. It tastes great with an initial rich chocolate making way for some fairly intense bitterness before moving towards the dark fruit end of the spectrum and finally a long and lingering alcohol warmth. It's a lovely beer and one to sip on a cold evening. 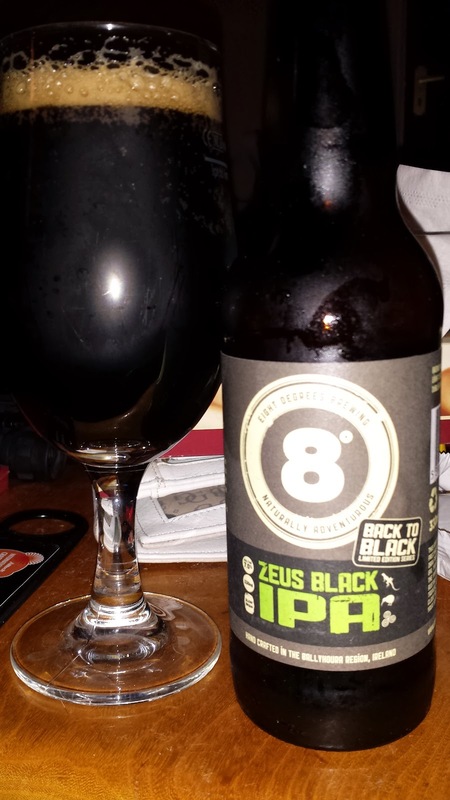 And now for my favourite of the bunch, Zeus Black IPA. It's a 7% BIPA with an aroma of tropical fruits, chocolate along with citrus and pine notes. It's a very pleasant aroma. It tastes even better with strong chocolate at first and then massive pine and citrus hit followed by tropical fruits. Zeus boasts a medium/full body and lingering bitterness / fruit on the finish. It's an epic beer and one I intend to drink a lot more of.